The Vice President, Dr. Mahamudu Bawumia has strongly indicated that government will not accept the instances where mining companies declare no profit yet engage in active production to avoid paying dividend to government. 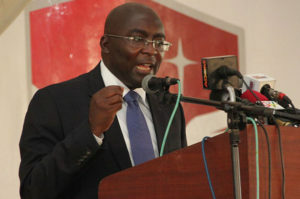 Dr. Bawumia who expressed disquiet about the development disclosed that mining companies operating in the country have since 2012 refused to pay dividend to government, stating that they made no significant profit. Speaking to officials of the IMF and stakeholders in the extractive industry, Dr. Bawumia hinted that government is taking some pragmatic steps to take a relook at the mining laws of the country. “Ghana as in many countries in the mining sector for example has a carried interest of about 10 percent. Out of this carried interest the expectation is that Ghana would receive dividend for this carried interest in our mines. When we look at the data however, we see a matrix of zeros as far as the dividends that Ghana earns from this carried interest from 2012 is concerned,” he said. Dr. Bawumia pointed out that mining companies in the country have consistently justified their reason not to pay dividend to government, by blaming it on lack of profits even though the opposite is the case. He disclosed that a careful observation of the records show that almost all the mining companies are using the same excuse to deny government its rightful share of profits in the extractive industry. This, he said has rendered the carried interest useless, necessitating a relook of the law. 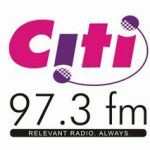 “So it means to a large extent the carried interest in mining is virtually useless as far as Ghana is concerned because we are earning zero from it, and we need to take a relook at this whole regime because the companies say they are not making profits to pay dividend but they keep mining”.